I wanted to try to bring new life to a familiar crossword gimmick with this puzzle. We see circles in crossword grids every so often to highlight hidden words or letter patterns. Less frequently, shaded squares are used in the same capacity. Why one and not the other? With a theme of "notable Greys," I had a real reason for picking shaded squares over circles for a puzzle. Of course, just because I had a concept did not mean I could execute it, but when I found TV's Dr. MEREDITH Grey inside of HAMMERED IT HOME, I knew that I could actually construct such a puzzle. Mr. Shortz and his team did a fine job editing this puzzle, including removing the entry AND (now ANN) when I also had A AND E in the grid. That said, one of my favorite clues didn't quite make the cut: [15-year-old video game player?] for XBOX. But hey, you can't be too tricky on a Tuesday! GRAY MATTER played on today … wait, what? GREY MATTER? Ah, a riff on "gray matter," featuring famous(ish) people with the last name GREY. I knew EARL and ZANE Grey off the top, and MEREDITH seemed fair enough, given that the show was titled "GREY's Anatomy." "AGNES Grey" may not be as famous as other of the Bronte sisters' work, but hey, a Bronte is a Bronte. What a fantastic find in MEREDITH across HAMMERED IT HOME! I love those sorts of discoveries — it's seemingly impossible to hide an eight-letter entry across three words ... or is it! Beautiful. EARL in REARLIT was decent, although REARLIT didn't jump out and scream I'M JUICY ENOUGH TO BE A CROSSWORD THEME ANSWER! to me. As usual, Neville delivers a strong grid. Not easy to work around that middle section especially, what with MILK OF MAGNESIA / REARLIT / HAMMERED IT HOME compacted in there. Beautiful work, only ADLAI slightly iffy (no one remembers the losers …). With just ATAB of crossword glue, Neville's grid easily passes muster for a silky-smooth early-week product. Even with the high theme density, Neville tosses in a bit of GORETEX and BASE TEN (he has his Ph.D. in math!) for spice too. 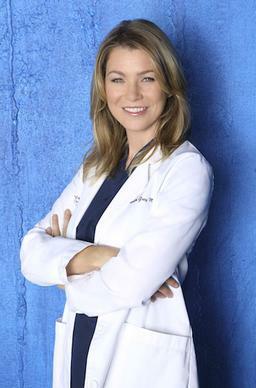 The theme lost me a bit since AGNES and MEREDITH Grey didn't mean much to me (fans of "Grey's Anatomy," don't kill me! ), but neat concept and fun wordplay in the GREY MATTER revealer. Average word length: 4.74, Scrabble score: 299, Scrabble average: 1.62.